No company wants to leak customer data, have intellectual property stolen, or experience business services taken offline. Those that recognize these risks are thus scrambling to hire the right people to fill their information security roles. "All cybersecurity appears hot, and no one area is hotter than others. 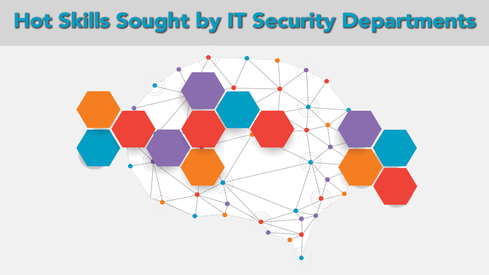 But if I had to pick one, application security (AppSec) is up there." Organizations are not willing to pay the going rate for experienced talent. Many candidates are not nearly as good as they think; they have successfully entered the field of cybersecurity, but are not strong in terms of skills. Here's a list of five hot skills in cybersecurity as curated from a collection of talent and security service firms. In addition to the hands-on skills, Bell reminds employers that leadership also is a critical skill.